A sosatie is a kebab. Meat onna stick. Start with a gemsbok loin (rugstring), nicely matured, cubed. Bacon is good. Some dried apricots, soaked in water for a few hours (also soak the skewers so they don’t burn). 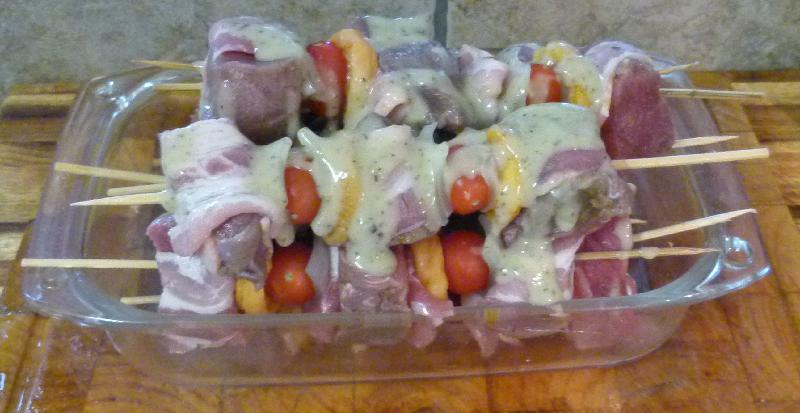 Some blanched onion, and some cherry tomatoes (it helps to work things out ahead of time, I had 8 skewers, 24 cubes of meat, 16 apricot halves, 16 tomatoes and 10 rashers of bacon cut into thirds. Some sosaties got more bacon, some got less onion). Drizzled with olive oil & rosemary sauce. 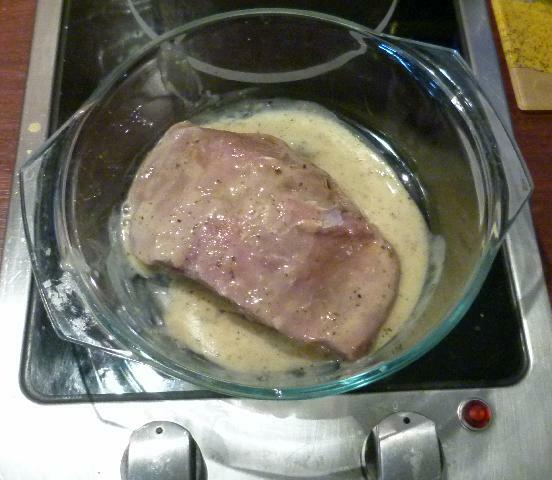 There was a bit of loin left, that got sauced up and braaied separately. Also braaied a kilo of gemsbok wors. Add a green salad and half a butternut wrapped in foil and put on the coals much earlier, and call it Sunday night supper. Oooh look! Someone threw out this perfectly good Spectrum SPL-603 power supply! 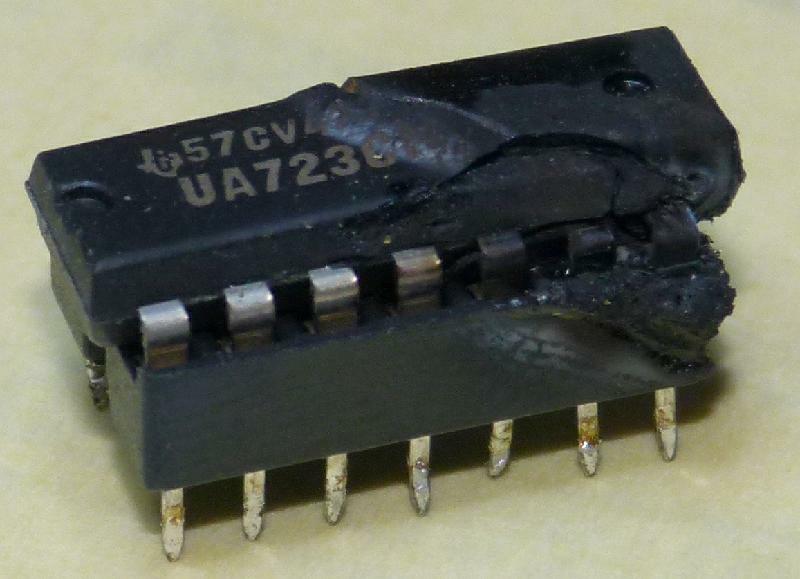 The 723 had given up all its magic smoke, to the point where the socket is also buggered. 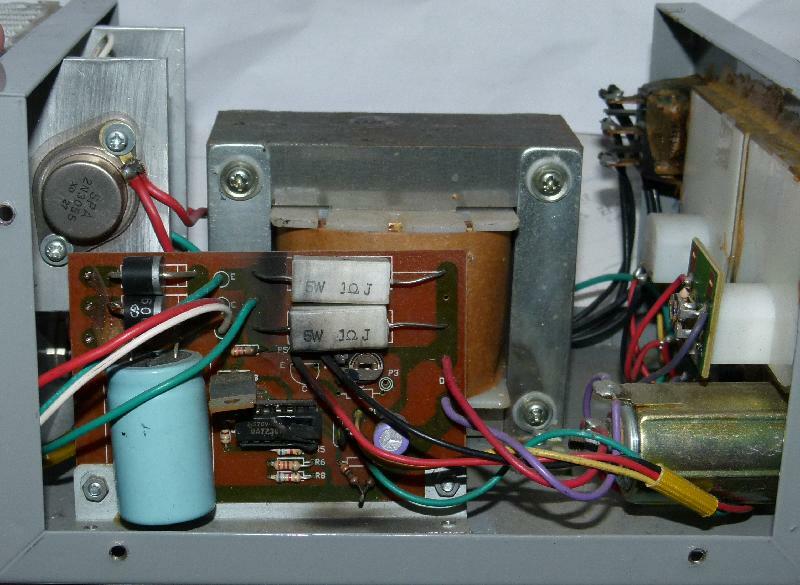 Fortunately this is a stock part in my junkbox, as are 2N3055s (the one output transistor was shorted emittor-to-collector, but I can’t explain why this would break the 723). I also replaced the H1061 with a BDW93B because I could. Truth be told, this is a terrible PSU. The non-regulated DC is 52V, which means that at 30V output the transistors are dropping 22V and at 2.5V out they are dropping just about 50V. No wonder two 2N3055s are needed for a measly 3A output (A 2N3055 is good for 15A and 115W, so when dropping 50V you can only get a smidge more than 2A out of it, and that with a good heatsink). 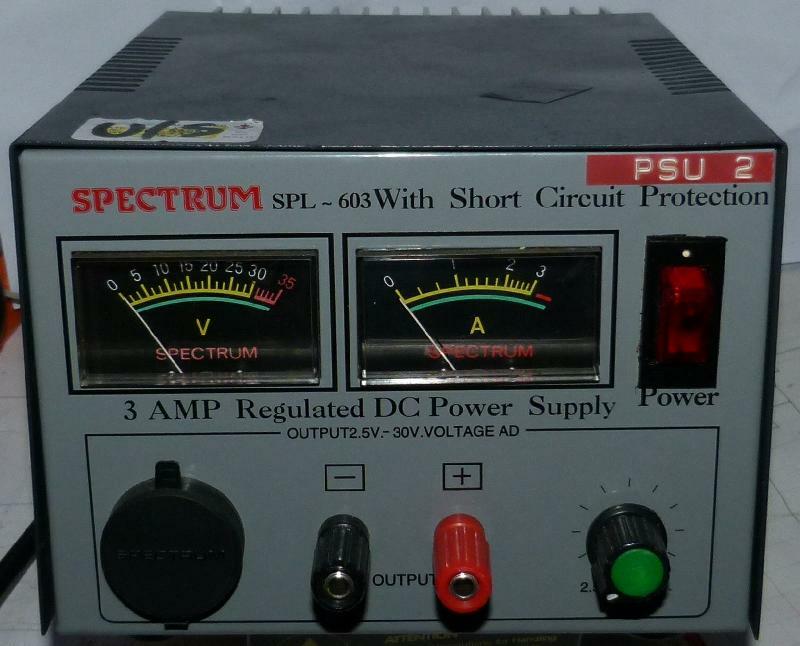 The 723 Vcc is connected to the non-regulated DC, but the 723 is rated for 40V max Vcc. This is probably what broke it. When I set the PSU to about 6V and turn it off, there’s a ~20V spike on the output. WTF? So why the high non-regulated DC? I thought maybe it drops under load because cheap transformer, but this is not the case. The transformer gives out 38VAC which drops to 35VAC with a 1A load. The general schematic is similar to http://www.circuit-projects.com/cimg/2V_to_7V_8A_power_supply_by_723_and_7812.gif but with a difference — the base of the current limiting transistor is connected to a voltage divider (R4/R5) to ground. This causes the current limiting point to be higher for a higher output voltage. Again, counter-intuitive. So I changed things around to how it should be. 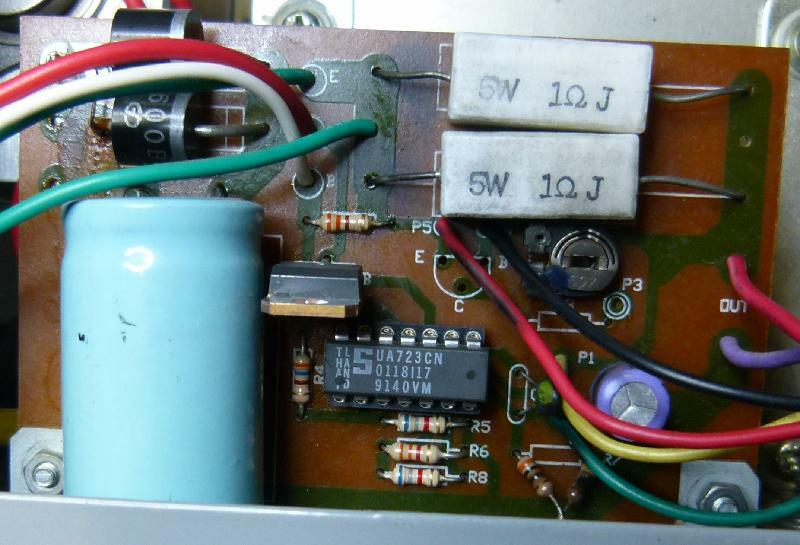 Fitted a different transformer, from an old UPS — it’s only good for about 18V out but that’s enough for me. Not going to try to make a purse out of this sow’s ear.